Website for your restaurant, with on-line order feature and web-base pos system ! How to receive on-line orders ? on-line orders will be sent to eMail box & notify you by automatically ring a call to your phone. --- Automatic printed from receipt printer. --- Automatic printed from regular printer. --- Automatic play custom music. Due to some devices have data plan limitation, music might not play automacally when new order received. Devices might need to gmail instant notification or install app to immediately notify new orders recieve. Contact your menu printing company, ask for a menu PDF file, they will be happily to do the works for you. Restaurant basic information and MENU images. Show restaurant location in Google Map for driving direction. Download and save MENU as Adobe pdf file on local computer for off-line reading. 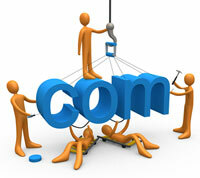 Customer will be able to send comments and reservation request to your eMail box through website. On-line order capability, this feature can be turned on-off at anytime. And also servers can use any internet capable devices to place order and receive order. Custom logo, standalone website, unique website address, and search engines visible. Support 2 lines Caller-IDs for each system. Support up to 8 printers. Use any internet capable devices to take orders or recieve orders. Retrieve ticket, edit ticket, split ticket, combine tickets, delete ticket, close ticket, print receipt. Use scanner with OCR (text recognition), scan menu and save as txt file, we provide [ small software ] to generate on-line menu. Edit on-line menu once, use for both website and web-base pos system. so register a free account now, no personal information needed. Phone call: use your restaurant telephone, and be able to show caller-ID. eMail to US: use your eMail address box which you provided for us.